There is also Laubé-Drauxim 1878-1900 (maybe the same person?). The firm was a successor of Hérouard frères and other names existed as Laubé et Cie and Hérouard & Laubé. There is still a Hérouard wind instrument making company in existence today. 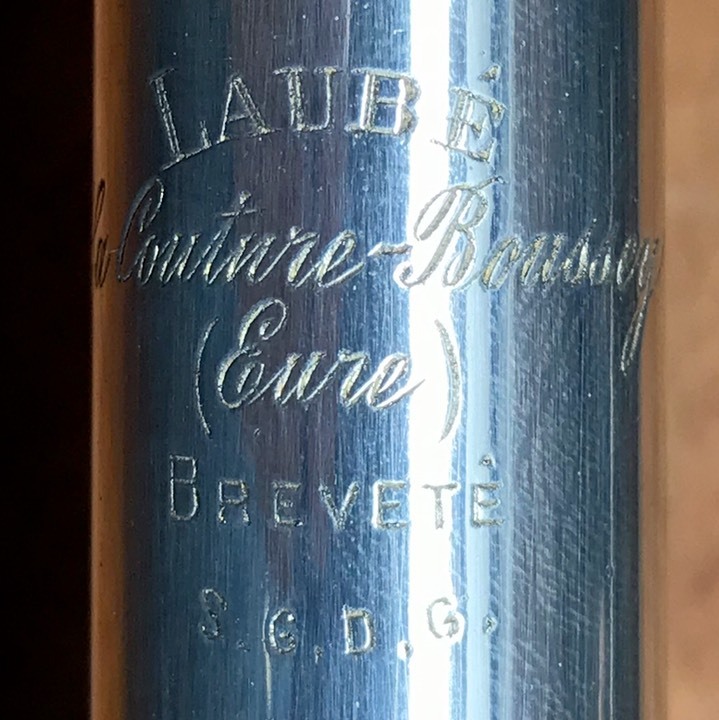 Notes: quite a nice flute, now completely restored. 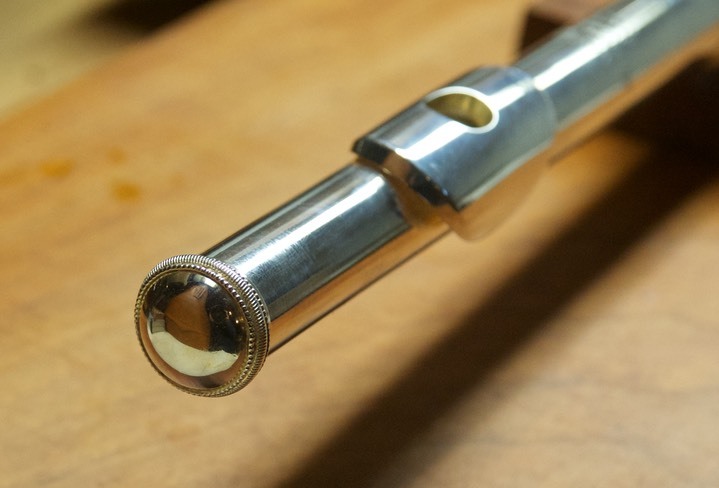 The flute had some large areas where the plating had been rubbed off by an over agressive polisher. We decided, especially since it was otherwise so nice, that we would have it re-plated. I think this was very successful.